We are delighted to join our colleagues at the Albert Einstein College of Medicine in celebrating the 20th Anniversary of the Einstein Community Health Outreach (ECHO) Free Clinic. 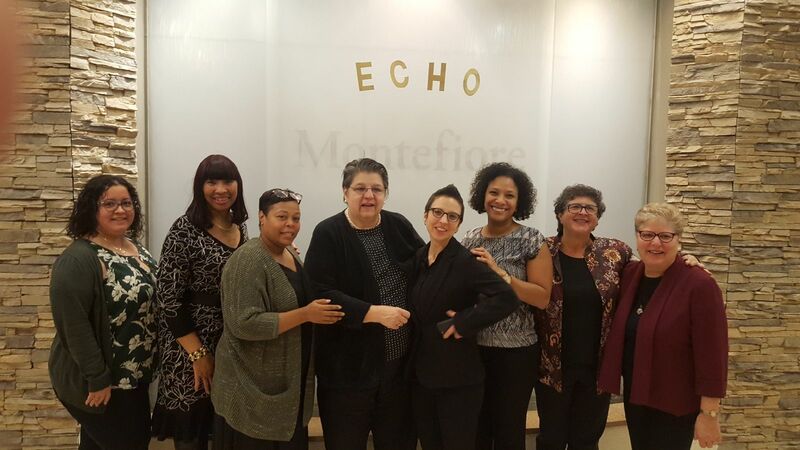 This month, the ECHO Free Clinic celebrates 20 years of service to the Bronx. ECHO Free Clinic was founded in 1999 through a partnership between the Institute and AECOM to serve the growing ranks of the uninsured. Since its inception, the ECHO Free Clinic has provided both services to the community – in the form of free, primary health services – and training opportunities for AECOM medical students committed to improving the health of those most in need. Every Saturday morning, at the Institute’s Walton Family Health Center, the ECHO Free Clinic trains the next generation of family medicine professionals while meeting the needs of community members who may be afraid to access health care because of cost. Since then, the ECHO Free Clinic has served thousands of Bronx community residents and provided training to hundreds of AECOM students. Between 2016 and 2017 alone, the ECHO Free Clinic served over 900 new patients. The ECHO Free Clinic embodies the spirit of volunteerism and service embodied by both the health care professionals and student volunteers who staff the clinic each weekend. It has also been an inspiration for numerous other Free Clinics that have since been founded around the country. We would like to extend our sincere gratitude to the AECOM leadership, the medical student volunteers, and the Institute family physicians and nurse practitioners who give of their time and talents each week to keep the ECHO Free Clinic running. Special thanks are due to Free Clinic medical directors Dr. Amarilys Cortijo and Dr. Sarah Nosal, and to Robin Hood, for their dedication and support of the ECHO Free Clinic.